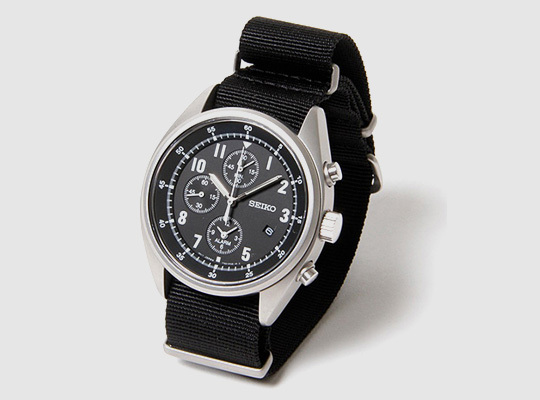 Military inspired watch, a new collaboration between Japanese brands nonnative and Seiko. The watch comes with a metal case, nice vintage looking dial and two Nato straps in black and military green. The watch is limited 500 pieces in all and will be stamped with nonnative branding and numbering on the back. The Chooser.